Talk about a great wife, her husband was away on a work trip this past Valentine’s Day. So she called up the local Dominos, and asked if they could make a heart shaped pizza for her husband. 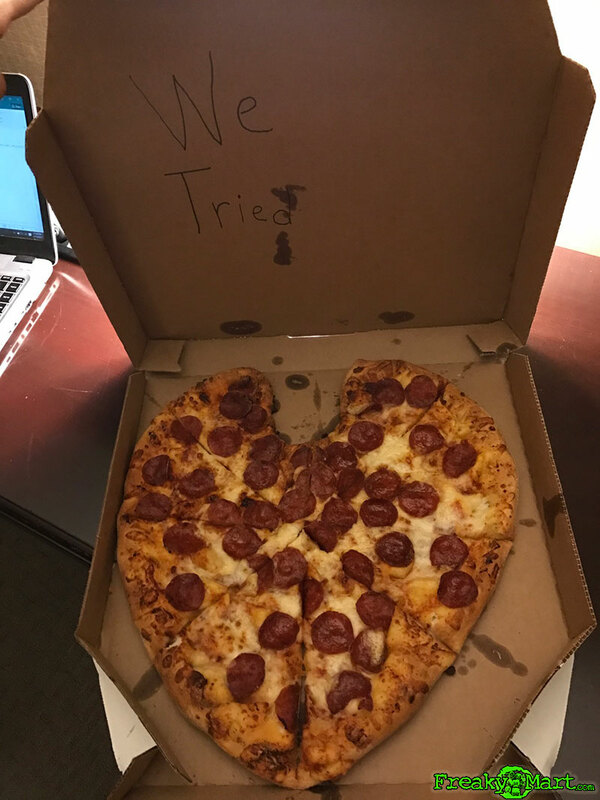 They said they would try, and try they did.